Dahlia was bagged up and calling for her (unborn) kids this morning. 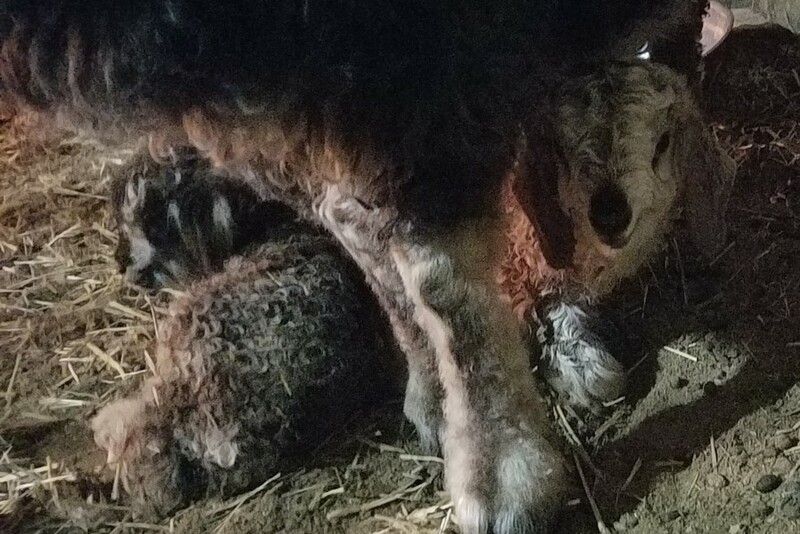 I got home this evening to find her and her twins, warm and dry, in the corner of the barn. It was so convenient that they were born on a nice 60-degree day. They are both boy babies. One is a reverse badger black and the other might be as well, but came out with the frosted-tip dye job that Angelina had a few years ago. So it might be a few weeks until I can confirm the base color.